Have we ever dreamt of being in the virtual world, feeling the reality itself in it? Although it is a far-fetched fiction to see both the worlds coalesced with each other, real world seems to erase the boundary between the two with its innovation every now and then. A consumer tech products solutions provider named Portronics in the cloak of an Indian start-up has recently unveiled the all new Electropen 4 that has the capability to turn the reality into virtuality. You ask how? Read below to find the story behind it. The new product is enlisted in the company's product profile with other digital pens. As the name suggests, it not only mimics a ball-point pen from outside but also supports a ball-point refill inside. If you are not fond of typing things in a digital document, you can leave things to your Electropen 4 to get it done for you. To explain in layman terms, if you write something in a normal sheet with your Electropen, it has the capability to transform the writing to an image file of JPEG format and push into your smartphone, computer or laptop with the help of the receiver add-on that comes with it in-the-box. 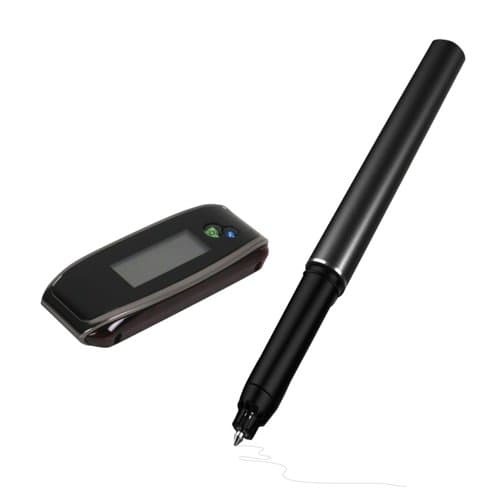 Being your own personal digitizer, the pen also offers you a unique way to capture the whole process of writing or sketching and can generate a video file out of it with an additional benefit of voice over. Now video tutorials can be made without being a tech expert and you can still feel the charisma of your digital work with the old-school way of writing. According to the product description mentioned on the website, the smart pen is equipped with a flash memory that can perform its scanning and writing duties and store 100s of A4 size pages in one shot and sync later as per your convenience. This removes the necessity to carry your laptop, cell phone or other Bluetooth enabled devices to the proximity while writing. With the Free “MemoPlus” app on mobile devices and “NoteTaker” app for Windows PC/laptop the pen can assist in recording high-quality voice clips while recording the whole process of writing or sketching and in fact can be coupled to originate a video file. Talking about the tools' technical specs, it supports Bluetooth 4.1 and houses a Li-Polymer battery (both the pen and the receiver). With all these facilities, the digital pen is currently on 14% off and is available at Rs. 5,999 from the Portronics website.